Happy Easter! 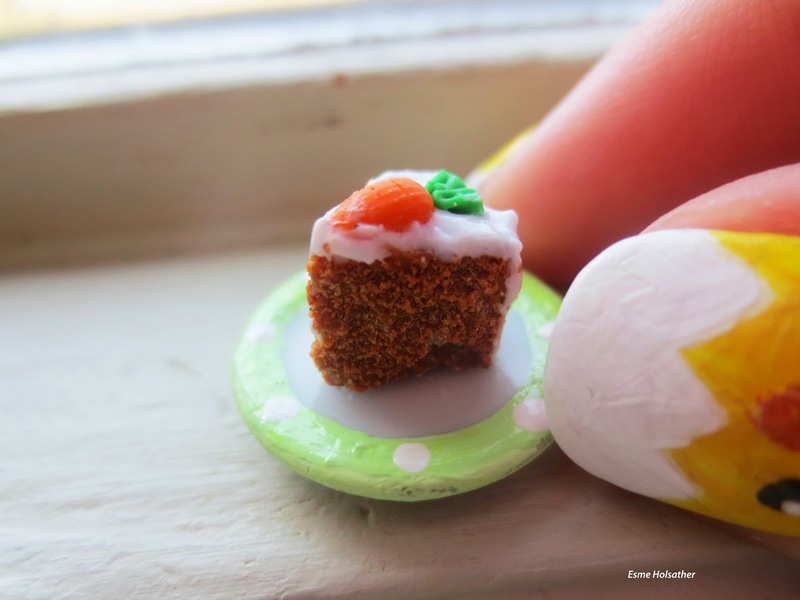 In celebration of spring I sculpted a miniature carrot cake! I painted the miniature plate light green with white polka dots for a spring look and I also painted Easter chicks on my nails - you can see the tip of it off to the right hand side. 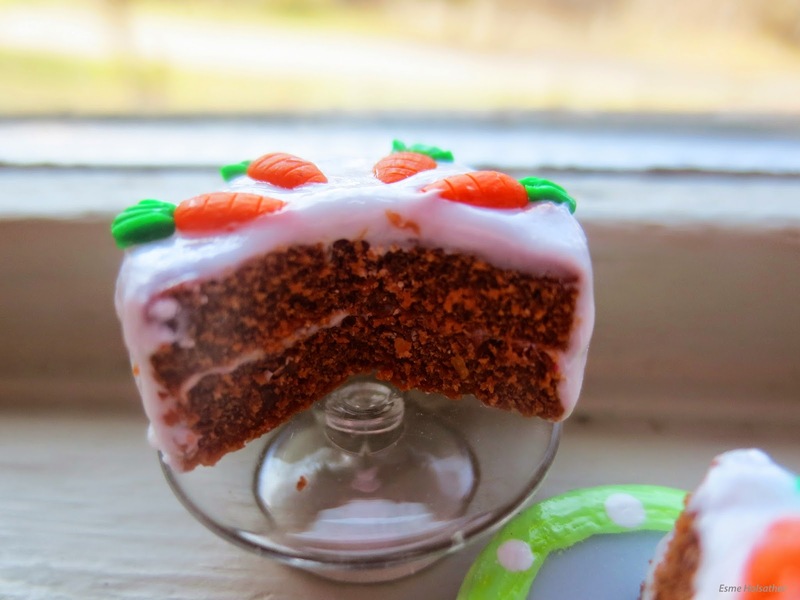 This is a double layer carrot cake with vanilla icing and miniature marzipan carrots on top!